59 years ago today, Queen Elizabeth, The Queen of England and the Commonwealth (Of which Canada is part) was crowned. The Diamond Jubilee year started on February 6th, the 60th anniversary of her accession to the throne, and will continue through 2012. If I was in England right now I'd be gearing up for a 4 day long weekend of celebrations, but since I'm in Toronto, just over 5700 kilometers away, I put together a few Jubilee inspired tea towels that I think are more than a little cute to commemorate this rather momentous anniversary (Queen Victoria is the only other Monarch to reach this milestone). Why tea towels? Well, there isn't really anything more British than tea, and If you read my post from the One of a Kind show earlier this spring, you may have noticed I have a little thing for tea towels. While I like all of them, if I HAD to pick just one it would be a difficult choice between #2 and #9. Two is irreverent and funny, and number 9 is classically understated, and I can't decide which I like better. 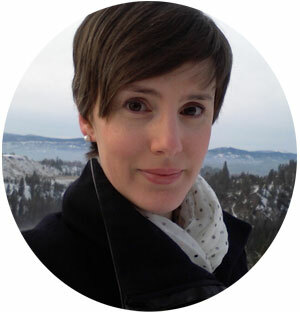 Your list of differences btwn us and our southern neighboUrs (lol) made me laugh too. 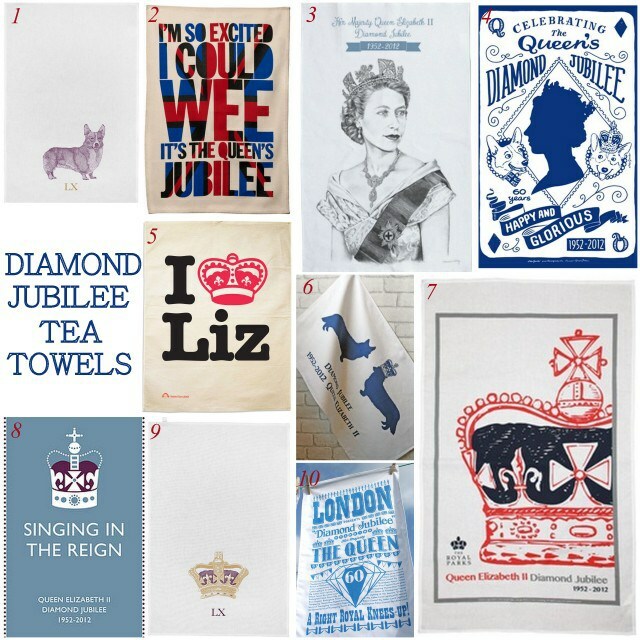 These tea towels are fit for a queen! # 8 & 9 are my favourites. Love them! I love #5. These are adorable. what i really love is those fascinators they all wear. fell in love with them at the royal wedding. just so darn cute! along with these great tea towels, i think we should adopt the fascinator thing. Oh, I especially love #4, but the ones with the dogs and the ones with puns are particularly nice too.